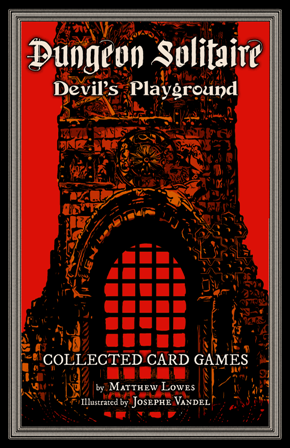 Rulebooks for Dungeon Solitaire: Labyrinth of Souls are now available for $12.99 in the US. 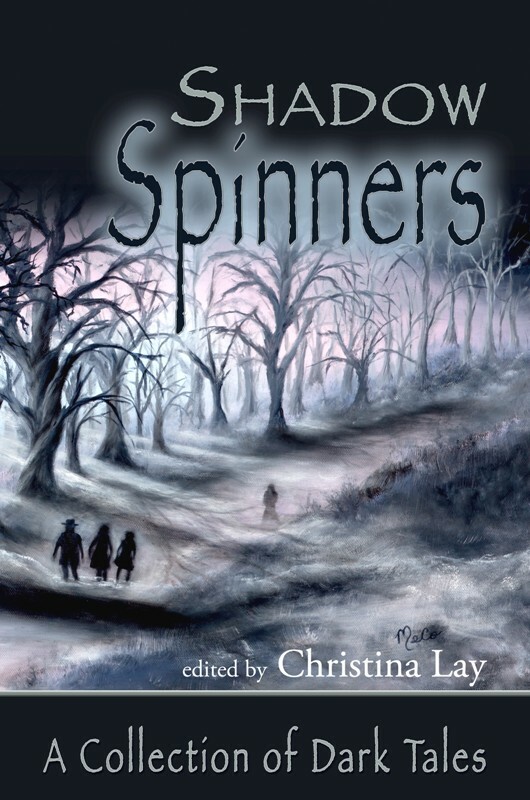 You can purchase copies direct from Createspace here (I do get a slightly higher royalty for these sales), but if you’re ordering other stuff, you can get it on Amazon with free shipping. You can also order through most Amazon International sites, immediately … or very soon. 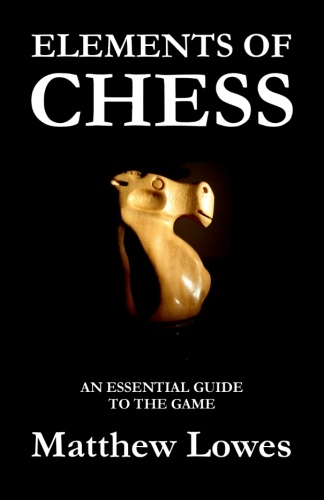 In any case, please take a moment to a review the game on Amazon, or on your blog or social media. Reviews are huge help in spreading the word about Dungeon Solitaire and allowing me to continue making expansions and more games. 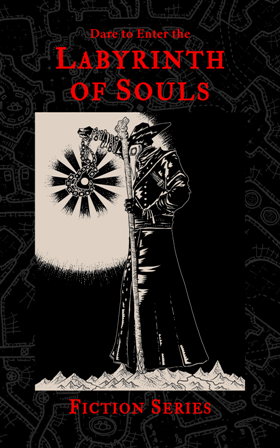 Check out some quotes from previous reviews and Labyrinth of Souls Kickstarter backers below. I’m very excited to reveal the rulebook cover for Dungeon Solitaire: Labyrinth of Souls! 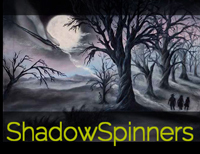 The beautiful artwork and design are by the game’s exclusive illustrator, Josephe Vandel. I’ve been so busy with the production process that I haven’t had much time to post updates here, but as we get closer to the end of this epic journey, I am more excited than ever to share this game with all our backers and then with the rest of the world. 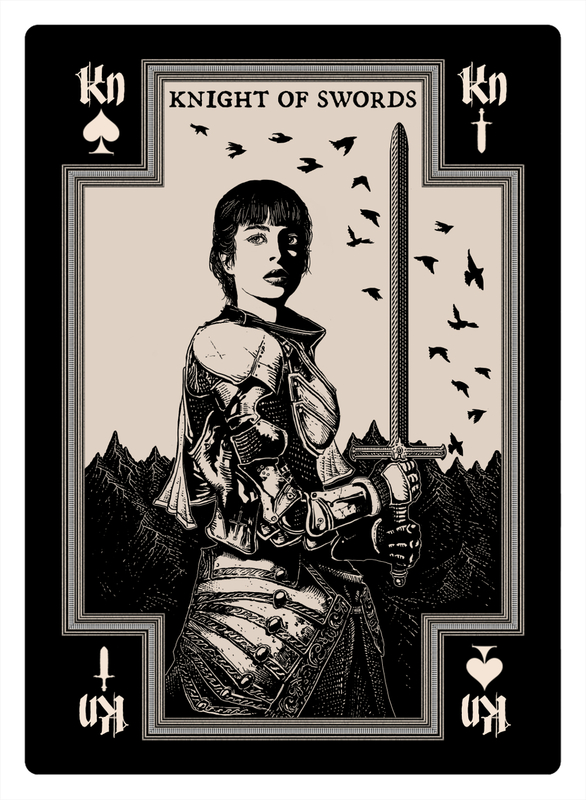 I just ordered print proofs of both the standard and monochrome card decks. I’m super excited, but it will be a week or so before I get them. In the meantime, I’m putting in final corrections to the rulebook interior and will be ordering print proofs of that as well. If all goes well, we will be shipping to our backers on time toward the end of June. Expect a public release sometime in July. 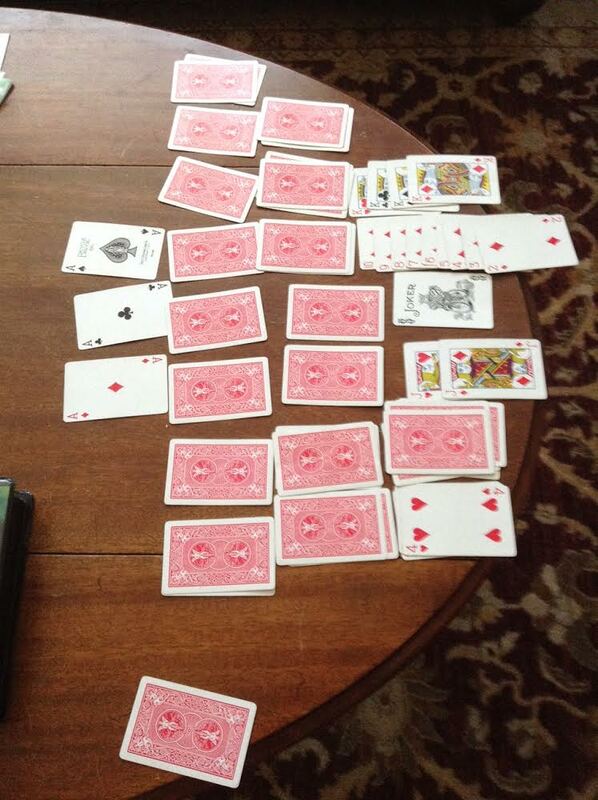 Thirteen year old Dungeon Solitaire player August Mericle has played a perfect game of Tomb of Four Kings! That means not just a win, but a 100 point win, with all the treasure in hand as one exits the dungeon. August’s dad said he played several hours a day for about four days before winning the perfect game. As far as I know, August is the first person ever to win a perfect game. I knew it was possible, and thought it was only a matter of time, so I was super excited to hear about his game. I was also very happy to hear the game had been played by a thirteen year old. My early gaming experiences were one of the inspirations for creating Tomb of Four Kings, so it’s great to be able to share it with the next generation of gamers. 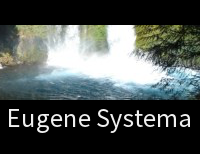 A huge congratulations to August on his game! That’s a photo of the winning layout, with eight turns on the delve, four hit points, and all the treasure. Pretty awesome! *Tomb of Four Kings is available free here. 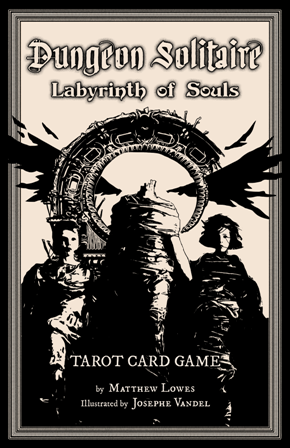 There are only three days left in the Dungeon Solitaire: Labyrinth of Souls Kickstarter! We have cleared nine stretch goals thanks to 350 backers and over $13,000 in funding so far. 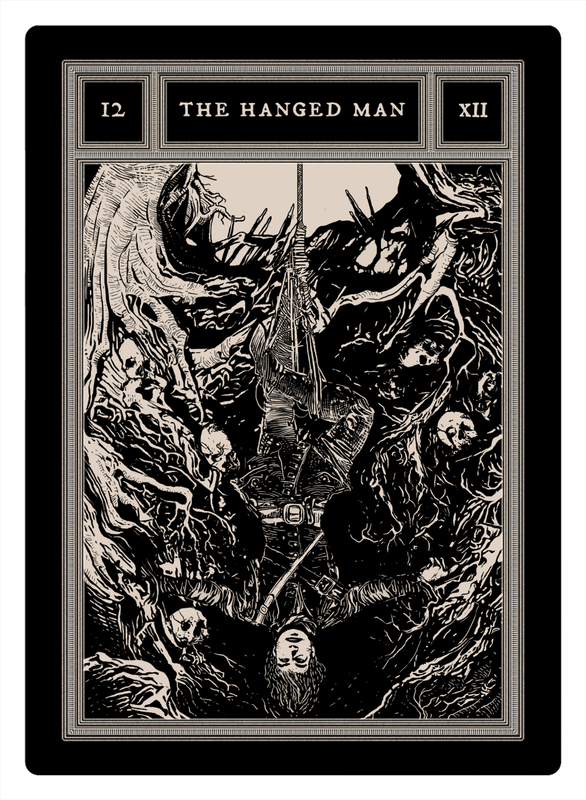 The latest stretch goal cleared adds an additional fully illustrated card to the custom tarot deck: The Lich! I’m super excited for this card, for the artwork Josephe creates for it, and for developing the rules that will go along with it. The Lich will be a boss monster, on part with The Dragon, with a special role in the Undead Hordes alternate rules for the game. We’ve had an absolutely incredible campaign thank to all our wonderful backers, and with three days to go, there is still another stretch goal to reach for. 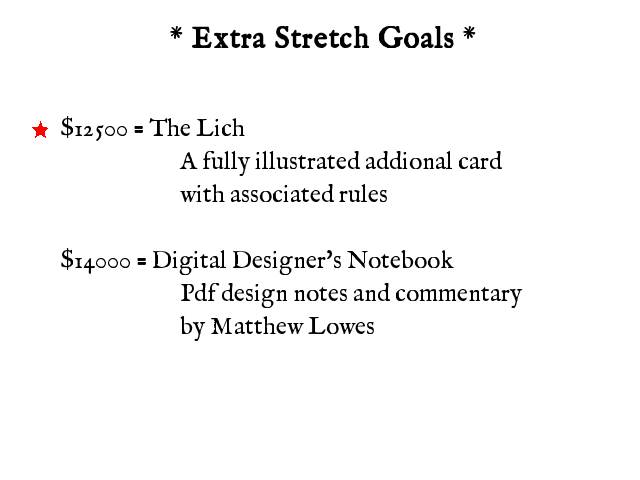 At $14,000 we will add a digital Designer’s Notebook, in which I’ll share all my thoughts about the origins and development of Dungeon Solitaire, and about every aspect of the Labyrinth of Souls game. 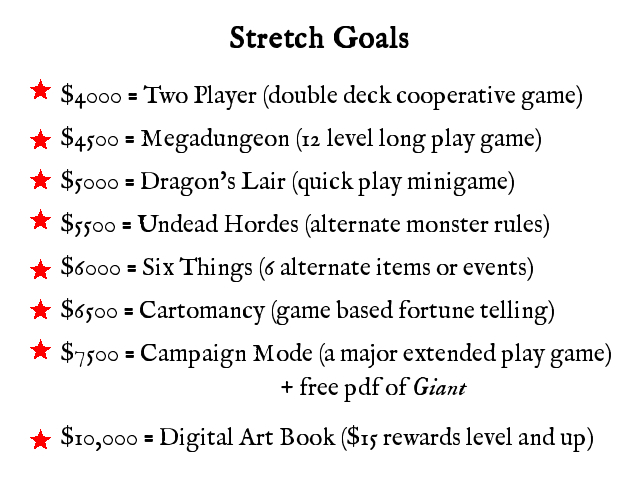 With all these stretch goals cleared, all our current backers and everyone who pledges now will be getting a lot. Numerous additional game modes and alternate rules have been added to the rulebook, including a major rules expansion with Campaign Mode. 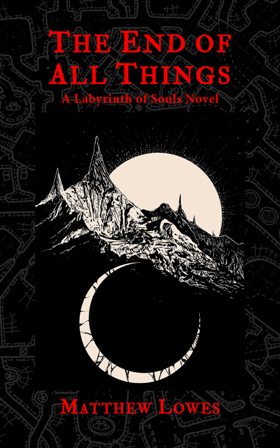 A digital Labyrinth of Souls artbook will be included with all reward levels $15 and up. And all reward levels $5 and up will also receive a free pdf copy of Giant, a giant robot skirmish game that works great as print and play. Many thanks to all our backers for making this project possible and for making this campaign such a great success! In these final days, you can help us reach that $14,000 stretch goal by spreading the word about Dungeon Solitaire and the Labyrinth of Souls! Share a link on Facebook, Google+, Twitter, Reddit, Pinterest, or the social media of your choice. All your help is greatly appreciated! So much has happened I don’t know where to begin. The Dungeon Solitiare, Labyrinth of Souls Kickstarter has continued to clear stretch goals and gain backers at an impressive rate. 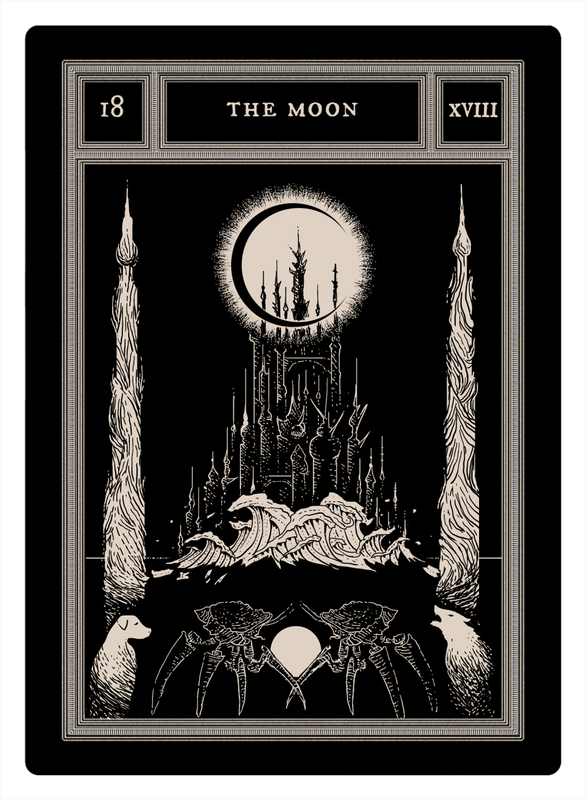 We’ve released new card art for The Moon, and a number of concept sketches for upcoming cards. On Thursday we were chosen as a Kickstarter staff pick and have seen an increase of traffic as a result. We cleared the last of our initial stretch goals at $7500 early Friday and have gained considerable ground since. Many thanks to everyone who has backed this project already and all who have helped spread the word. 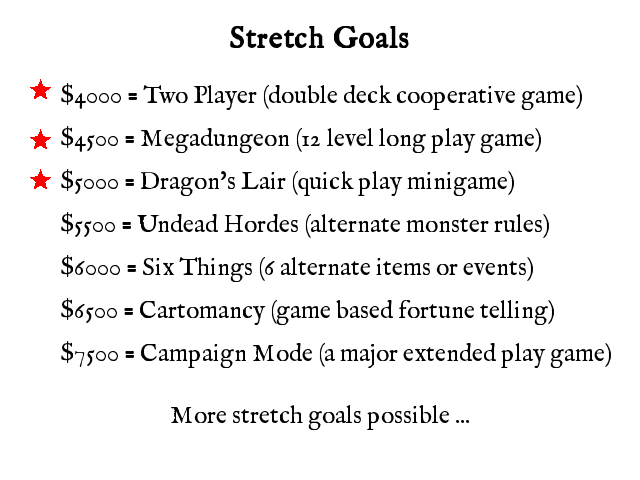 Clearing these stretch goals means all my highest hopes for what I wanted to include in the rulebook will now become a reality. It’s been really wonderful to see this level of support and backing. Josephe and I are both looking forward to delivering an exceptional game and gaming experience in the Labyrinth of Souls. Everyone backing now for at least $5 is going to get not only the core Labyrinth of Souls basic, expert, and advanced game, but also a multitude of alternate and expanded rules added on by our stretch goals, including Campaign Mode! 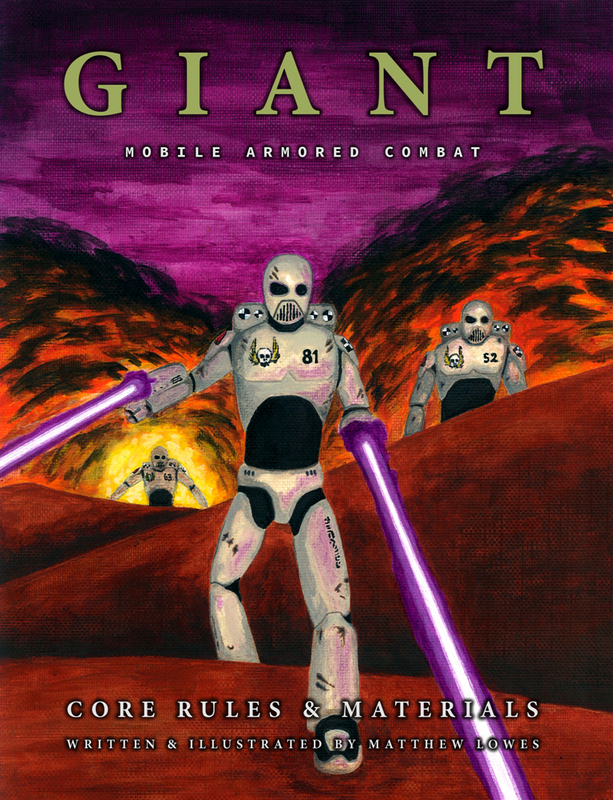 They’re also going to get a free pdf copy of Giant, my giant robot skirmish game that works great for print and play. And everyone who backs at the $15 level and up is going to get at least one custom illustrated Labyrinth of Souls tarot deck. But there are still 11 day left in the campaign. We think we can get a lot more people in the Labyrinth, and we want to offer another reward to our existing backers. So with this in mind, we’ve added a $10,000 stretch goal: All rewards levels $15 and up will receive a digital art book by Josephe Vandel featuring the Labyrinth of Souls artwork in large format and in all its detailed glory. 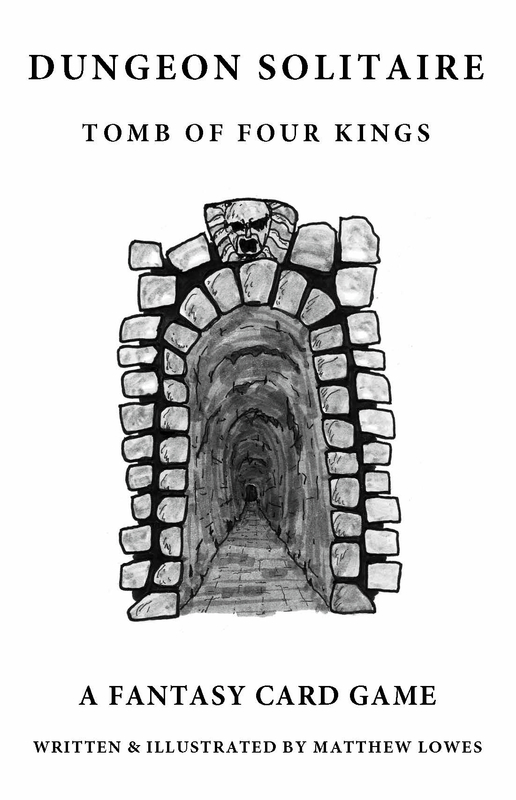 Last summer I wrote and released a little game called Dungeon Solitaire. 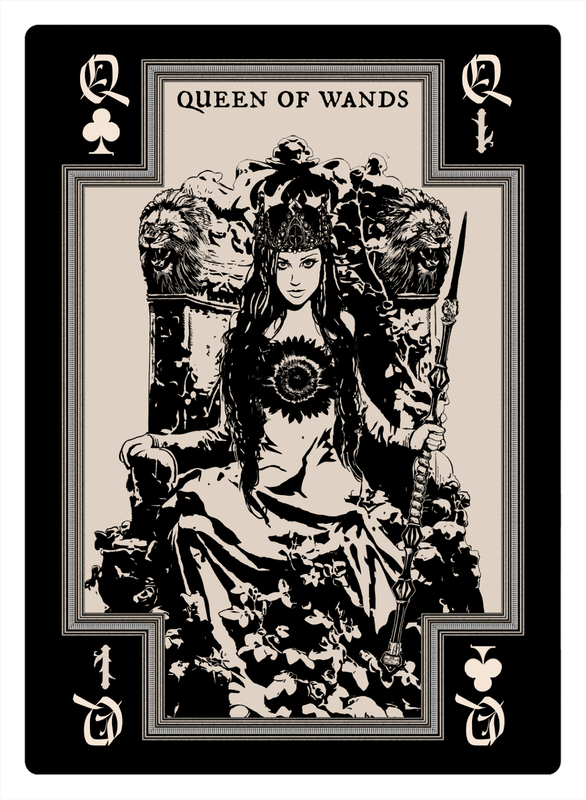 The original game was called Tomb of Four Kings, and it used a standard deck of playing cards. Over the summer it gained some popularity. It got good reviews, some attention on social media, and I even got some fan mail. All this has been really awesome! And that game is still gaining steam as a free download on this website. 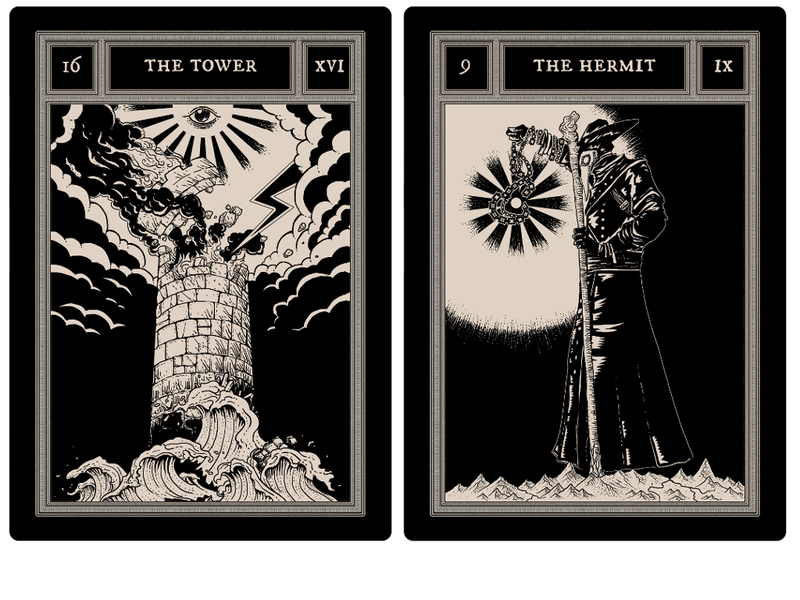 From the beginning though, I had the idea of expanding the game to use a 78 card tarot deck. 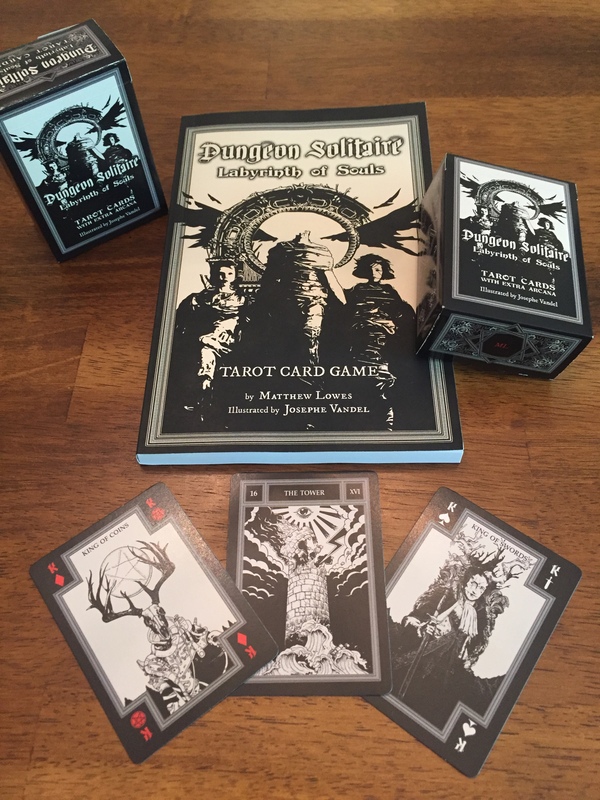 When I had the opportunity to pair these new rules with an exclusively illustrated dungeon-themed tarot deck, the Labyrinth of Souls was born. This Kickstarter will support the creation of this new expanded Dungeon Solitaire game, with a rulebook and custom deck of cards designed and illustrated by artist, illustrator, and cartographer Josephe Vandel. Check it out. There are great pledge rewards and stretch goals for backers, and there’s even a video of me talking about the game. I hope you’ll pledge your support, and help spread the word on social media, with your friends and family, and with any fans of gaming or tarot.